The Aluminum Blind is the original horizontal blind. 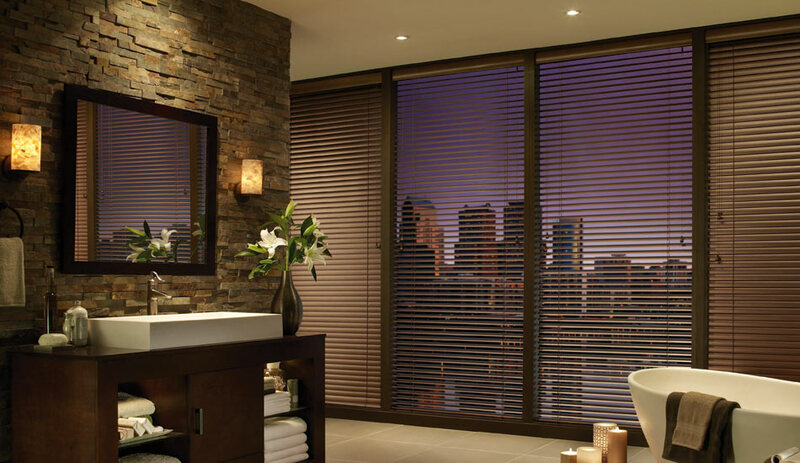 Sleek and slim, aluminum blinds can offer a clean and uncluttered look at an affordable great price point. 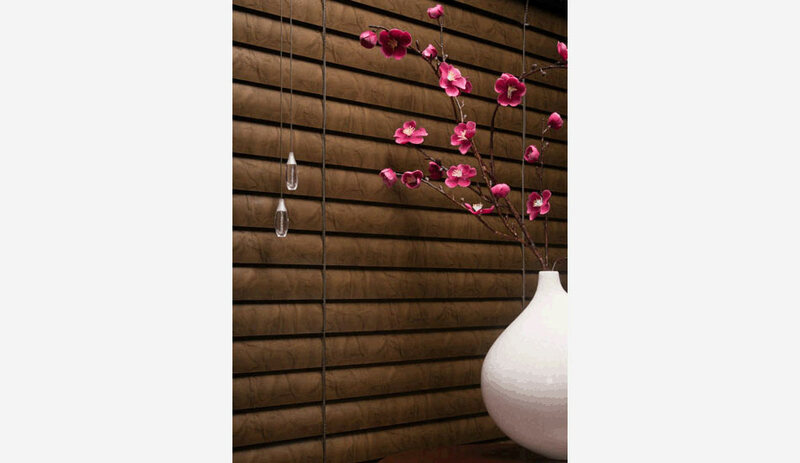 Decor Aluminum Blinds come with a contoured head rail for a sleek fashionable look. The slats are made from an exclusive spring tempered alloy with up to 95% recycled content. Its’ ”bounce back” feature is meant to handle rough treatment. 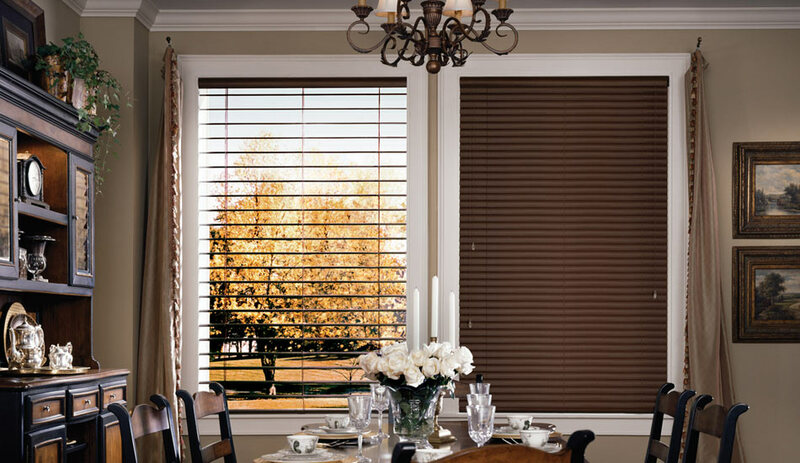 Choose from nearly 100 different colours and finishes in either 1″ or 1/2″ slats. Lightlines Aluminum Blinds eliminate cord holes and block 50% more light than your traditional aluminum blind! With all of the features of the Decor Aluminum Blind, this is the perfect choice for maximizing privacy and light control. Celebrity Aluminum Blinds are economical and attractive. As with all Hunter Douglas Aluminum Blinds the spring tempered alloy is meant to stand up to rough treatments from your children, pets etc. Another innovative feature available is called “Magnaview“. 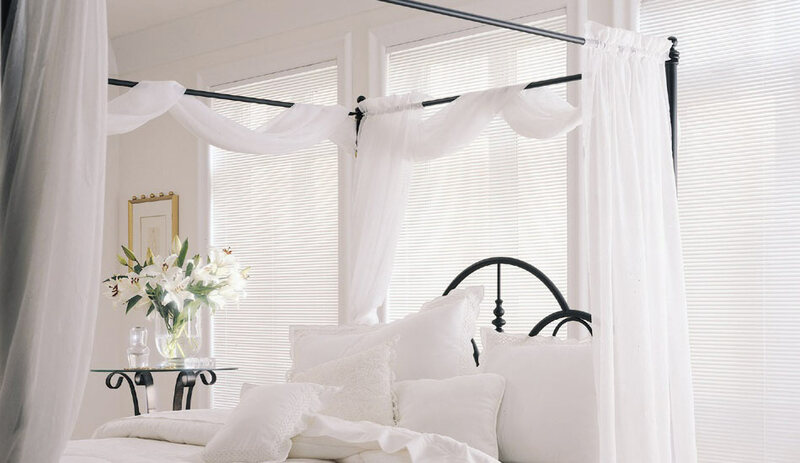 True to its’ name, this feature gives you twice the view through of a standard 1″ or 2″ slat aluminum blind. When tilted open, the slats nest together to provide you with the maximum view through to the outside world. 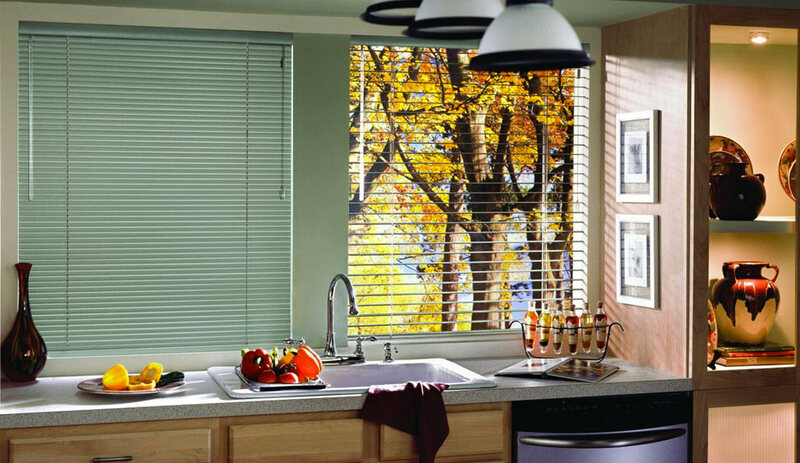 All of the Hunter Douglas Aluminum blinds come standard with a locking cord lift system. Or you can choose to go cordless and make raising and lowering your blinds easier than ever! Eliminating the lift cords provides a clean, uncluttered look and will provide enhanced safety and security for your children and pets.